Quick overview When Henry James died he left behind a series of notebooks filled with ideas for novels and stories that he never wrote. When Henry James died he left behind a series of notebooks filled with ideas for novels and stories that he never wrote. Now ten of our best contemporary authors and James enthusiasts have written new short stories based on these 'germs' of ideas. Differing dramatically in setting and style, these stories are modern interpretations of the richly suggestive and enticing notes that Henry James left behind, offering a fresh and original approach to a canonical literary author. Professor Philip Horne, a renowned authority on Henry James, has edited and introduced this collection, which also includes transcripts of James's original jottings allowing readers to trace the raw ideas through to their modern-day interpretations. 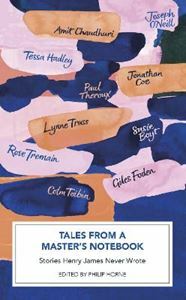 Contains stories by Colm Toibin, Rose Tremain, Jonathan Coe, Paul Theroux, Amit Chaudhuri, Giles Foden, Joseph O'Neill, Lynne Truss, Susie Boyt and Tessa Hadley.